Dinosaurs are making a big roar this summer-why not ask them to join your celebration? 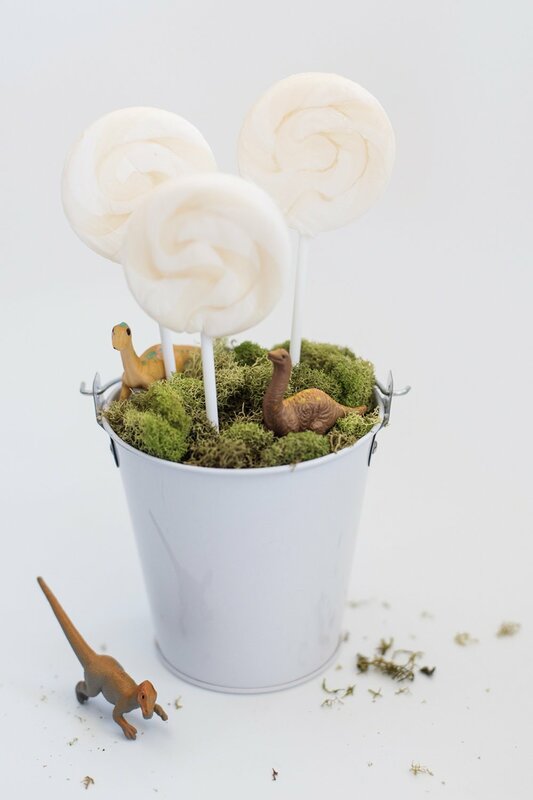 We loved that this lollipop display can come in all different sizes, just like dinosaurs themselves. 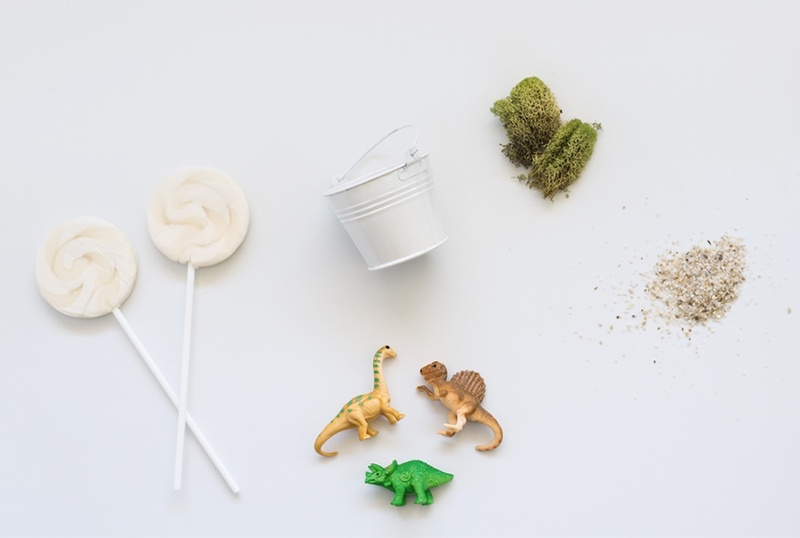 These are the perfect decorations or favors for your dinosaur birthday party, and provide a tasty treat as well! Continue reading for a step-by-step guide for this dinosaur party DIY project and make your celebration roar. Whether you want to include a big Tyrannosaurus or a smaller Velociraptor, your first step is to find a bucket that’s the perfect size your looking for. Fill it with anything from sand to candy that will allow your lollipops to stay standing in place. Next, take your moss and make it the top layer in your bucket. Now that your dinosaurs have a place to roam, place them on top of the moss-wherever you feel works best. Last but not least, add in your tasty treat! Set your lollipops in the bucket so that they stand tall. For added fun, make your lollipops personalized with a very special wrapper. You’re all set for a roarsome party!